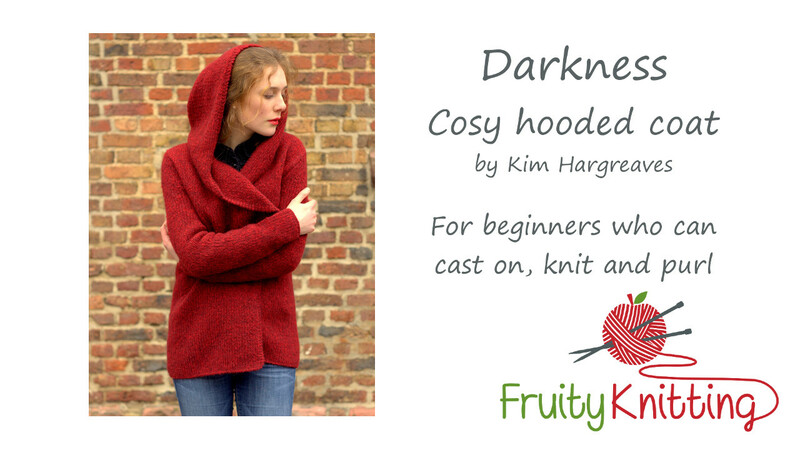 In this tutorial I’m going to take you right through the Darkness coat by Kim Hargreaves. This is a great pattern for a first garment project. If you can confidently do the knit and purl stitch and cast on, then this is a great tutorial for you. I will show you all the other techniques used to complete and sew up the garment. The yarn is the Rowan Brushed Fleece, and I used the colorway Nook. 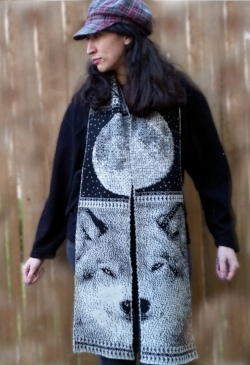 You can also find my Darkness project on Ravelry. The tutorial is available as a video on YouTube – click on the image below to go straight to the video. 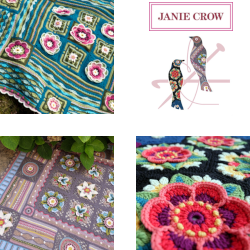 As you work through the pattern, you can use the links below to jump directly to the next part of the tutorial video. REALLY love that piece but can’t find the “buy” or “purchase” button on the Rowan web site. Hi Avivit. 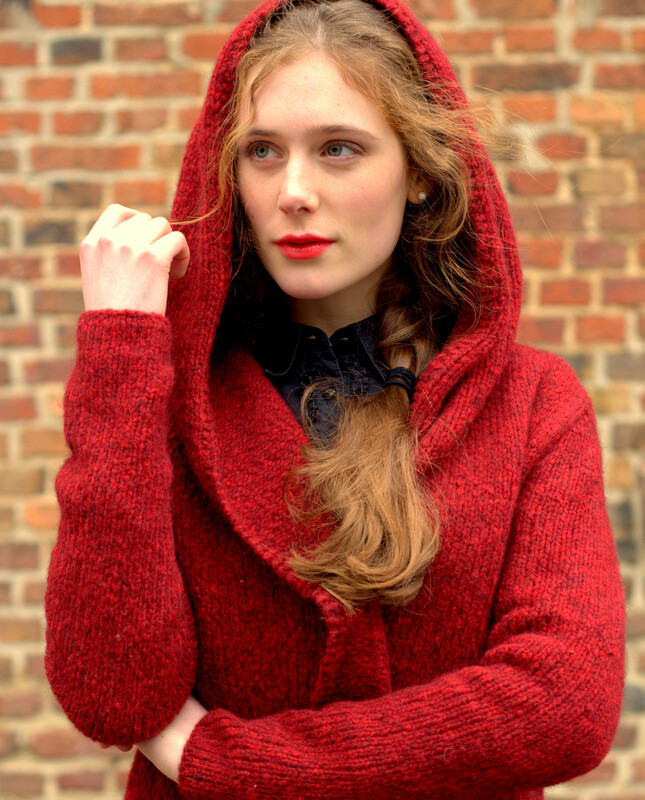 You can buy the pattern at Ravelry or buy the pattern book Still at Rowan. The book has lots of great designs, so you could consider that. Links to both in the post above. Cheers, A + A.
Can’t find where to buy the book or the pattern on its own. Please edit this page to include the new links. Cheers. Hi, I’ve added links to the Still book at Amazon. Cheers, A + A.
Hi Gale. If you’re in the US, you can use the link to the book “Still” in the article above. 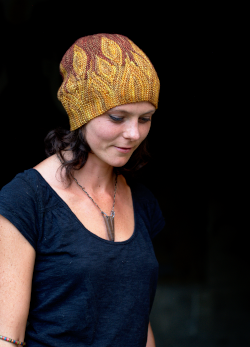 Outside the US you can check at your local yarn store, or order it from your bookseller. Cheers, A + A.
I have to say I am so glad I found you on YouTube! I have only ever knitted a cowel and was looking for YouTube vidios that would help me learn beyond how to knit or pearl but how to put the whole thing together. Thank you so much for sharing your gift of knitting! I learned to crochet through YouTube 6 months ago and now I want to start knitting. I am still in the stage of watching and learning. 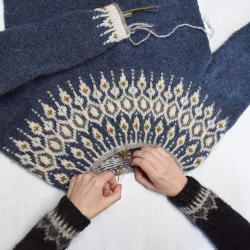 I will order the book of pattern book and knit this beautiful peice along with you. My only question is, as I am living in Israel is there any kind of yarn I can substitute for the Rawan yarn? Hello! I am anxiously awaiting for the arrival of my book. 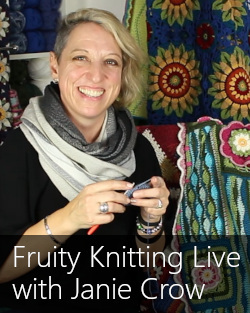 I have watched the beginning of the video and am curious as to starting in stockinette stitch.. Will the garment not curl as a result? Hi Andrew, I’m making the darkness coat, there is something I don’t understand.Sleeves in the paragraph next row the 6th line it says ( 14th, 14th,12th then there is some kind of symbol what does it means, it looks like -:- and on the next line there is the same thing. Can you help me? Hi Joanne. We are struggling to keep up with the work to get the next Episode out, and some preparation for a big event coming up, so I can’t dig out the pattern right now. But spontaneously I would say that the instructions are giving the options for the different sizes – for the first size, do what ever it is on the 14th row, for the second size do it on the 14th row, third size 12th row, etc. Where it says “-:-” I think it is saying that it is not required for those sizes. Would that make sense? We might get further if you put in the full context of the instruction. Otherwise try the Ravelry page for the pattern maybe? I am unable to find this pattern anywhere. It seems to be out of print. Does anyone have an idea how I could get this pattern? Hi Natalie. It is out of print unfortunately. I think your only hope is to keep an eye out for a secondhand copy of the Still book. Hi Natalie, I found the book just before Christmas (2018) at Love Knitting. They appear to be a UK based company. I suggest you Google “Love Knitting” and see what comes up for your region. 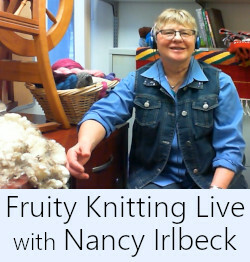 I ordered both wool and the book from them and am off to do my first big/real garment project. Thank you A+A on your great podcast.